New edition: William Wallace And All That is a real-life adventure packed with historical facts about Scotland's legendary hero. Join Sir William Wallace on his fearsome quest to free the Scots from villainous King Edward and his evil empire. Growl with anger as you find out what nasty things Edward's vile henchmen did to Wallace's girlfriend and best pal. 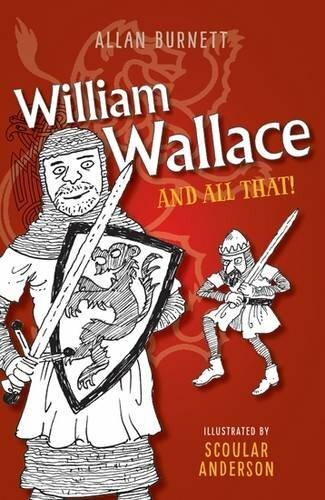 Get splattered with blood and gore as Wallace makes haggis of his enemies. Gasp with terror as you learn about the giant 'hedgehogs' that helped Wallace win battles. Groan with agony as you feel what it's like to be hanged, drawn and quartered. Discover how Wallace's grisly death made his legend grow. Bursting with brilliant illustrations, this book will have you shouting Freedom! after every page!